2018 has been a year of many changes and absolute success in the e-scooter business. 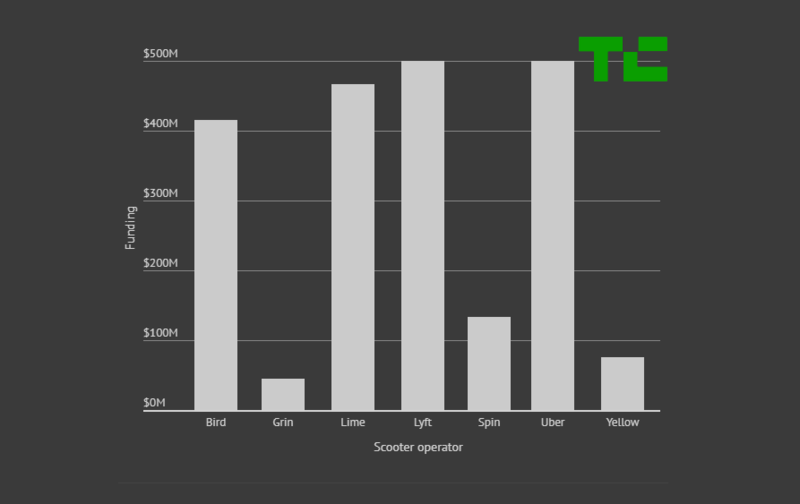 With the massive fundraising rounds and huge valuations, Uber and Lyft have entered the e-scooter territory. This is a signal that the e-scooters are going to conquer market very soon. In this world of competition, some e-scooter businesses are making it really big. Let us discuss how the e-scooter giants have progressed, what is their growth rate and how they are planning the future moves. Uber has launched Jump scooters sharing recently in a deal reportedly worth over $100 million. Jump is a dockless electric bicycle sharing company. Jump bikes are available in 10 cities. Uber is influencing Jump to add electric scooter sharing to their services, in addition to ride-hailing and electric bicycle sharing. Lime began as a bike-share company. In February 2018, Lime launched e-scooters. Since then, Lime has launched its scooters in over 100 cities in the U.S. and 27 international cities. Lime has also partnered with Uber to offer Lime scooters within the Uber app. Uber and Alphabet have invested $335 million in Lime. Lime values at a whopping $1.1 billion in a fundraising round. Lime launched its bike share service a year ago and has over 6 million rides across bikes and scooters overall. Lyft believes bikes and electric scooters are the next logical step beyond ride-hailing. Lyft purchased Motivate, which is billed as the largest bike-sharing company in the United States. Motivate operates CitiBike, Ford’s San Francisco-based GoBike operation, as well as bike-sharing services in dozens of other U.S. cities. Motivate accounts for 80 percent of bike-share trips in the U.S. The worth of Motivate is estimated around $250 million. The company operates in New York City, San Francisco, Boston, Chicago, Minneapolis, Washington D.C., Portland, Oregon and Columbus, Ohio. Bird had raised around $300 million, for a valuation of $2 billion. It has put more than 1000 of its scooters on the roads across 18 U.S. cities including Los Angeles, Dallas, and Washington, D.C. In April 2018, Bird had over 1 million rides since launching in September 2017. One year later, Bird announced that it hit 10 million rides across its 100- plus cities and over 2 million riders at the time. Bird is the next hottest startup in the ride-sharing industry and is said to be the Uber of e-scooter. San Francisco-based Spin raised $125 million in blockchain-based funds in July. In February 2018, Spin got into electric scooter sharing business. And then in June, it moved totally into scooters. Ford decided to take over Spin in a deal worth $100 million in November 2018. Yellow is all set to conquer the congested streets of Latin America. It has raised $16 million as quoted by Crunchbase. The founders of Yellow are famous for their most previous ride-sharing startup 99 which was sold to China-based ride-sharing giant Didi Chuxing for $1 billion. According to Bloomberg, Yellow plans to unleash 20,000 bikes and more than 1,000 scooters onto Sao Paolo’s city streets by the end of the year.